There isn't much I can say about 2017 except to say it was a year of many personal changes for me. I mentioned the death of my father the year before, and the sudden loss of my therapist only a month before. My second poetry book "Turmoil" was published along with my last Christmas book "J and K Christmas 2017" I wish I could say that the books were selling well. I take blame for that because I have to acknowledge my lack of promotion skills, along with my shyness. I am a true introvert who struggles to get outside sometimes. More often than not I just want to write, not promote. I am not afraid to promote my work. I just need to overcome the shyness I struggle with sometimes. My reluctance to show myself to an often scary world. Acknowledging this is a start. The same way I acknowledged not posting here, but understanding that no one will do that for me. I have to do them. I have to force myself to get away from my laptop, and pursue my ideas for promotion. I've done my share of it on social media. But I can do more. I am not making excuses for myself. But I have no excuse not to do more. The poems in this collection may reflect such emotions. They may appear to be simply written, but emotions are strong. I am grateful to be able to do this again. I also conclude with Here's hoping to connect. I still want to connect. I've been able to with some readers. Some days I discover that I have connected with more readers than I realized. Now I must reconnect. I hope I can interest more readers to read Turmoil. If you enjoy poetry, I urge you to give it a chance. Right now the book it's only available on paperback, but it will be on Ebook format very soon. The book is available on Amazon along with "Shadowed Tears" my first book of poetry. In the meantime I am still editing Child Game. 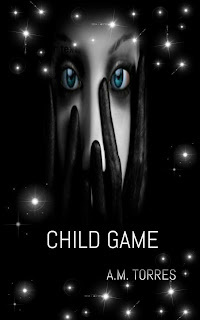 The fourth book of the Child Series. I know the book has taken a long time, but the events of 2016 along with my battles with depression are the reason this has been the case. I am still determined to get the book out. The book is done. I'm just being more careful with the editing. The book will be released this year.